The Hawaiian culture and heritage are passed on to the new generations through an elaborate collection of stories. These myths and legends tell the stories of the Hawaiian gods and the history of the Island. Knowing these stories will add an extra layer to your knowledge about the island, and thus make your stay even more memorable! In this section we summarize some of the more important myths and gods of Hawaiian mythology. If you are interested and want to find out more, we recommend you to have a look at the books of the local artist and storyteller Caren Loebel-Fried. The Hawaiian legend of Pele and Kamapua’a explains why the east side of the Big Island is wet and the west side of the Big Island is dry. Read more about the legend of Pele and Kamapua’a. 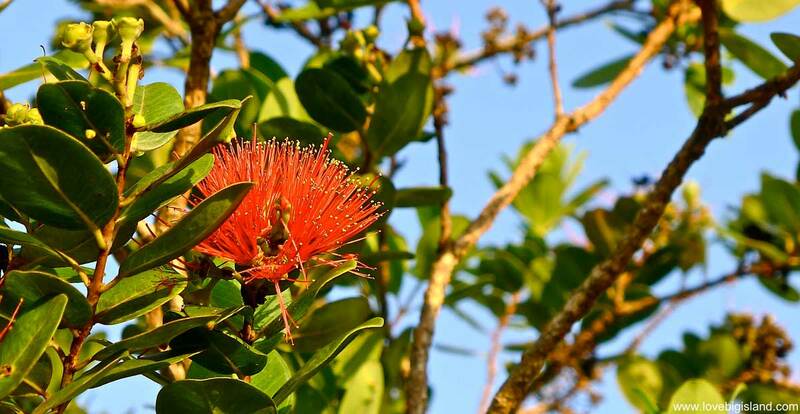 There is an interesting Hawaiian legend tied to the ohia tree and its flower, the lehua blossom. The legend is tied to the volcano goddess, Pele. This story explains that if you pluck this flower, it will rain on the same day (for a tragic reason). 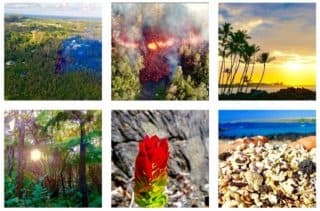 Read more about the legend of Ohia and Lehua.